Get your tissues handy: bowl season is nearly halfway over. And the first half will be leaving Part II with an impressive slate to live up to. Appalachian State, Akron, Georgia Southern, and Western Michigan had their first bowl wins. Duke won their first since 1961. Utah scored five touchdowns in just under ten minutes in the first quarter, and then BYU responded with 28 unanswered points to make it a game. All three 5-7 teams won their bowl games (as a side note, if you have yet to throw your “teams with a losing record shouldn’t be in a bowl” argument away, you may do so now). The second round of bowl games features the matchups we’ve been waiting for, including the playoffs and the other four New Year’s Six bowls. Every night has games that require our attention as a nation, starting on the 29th with the Russell Athletic Bowl (#10 UNC vs. #17 Baylor) and the Texas Bowl (#20 LSU vs. Texas Tech). It’s been a season of disappointment for the injury-plagued Baylor Bears who, despite being a preseason Big-12 favorite and boasting the nation’s top wide receiver in Corey Coleman, lost 3 of their last 4 to end the year. Despite having better statistics in nearly every category (except passing yards allowed and points allowed), UNC is favored to win, probably because Baylor will be starting a third-string QB and will be missing Coleman and running back Shock Linwood. 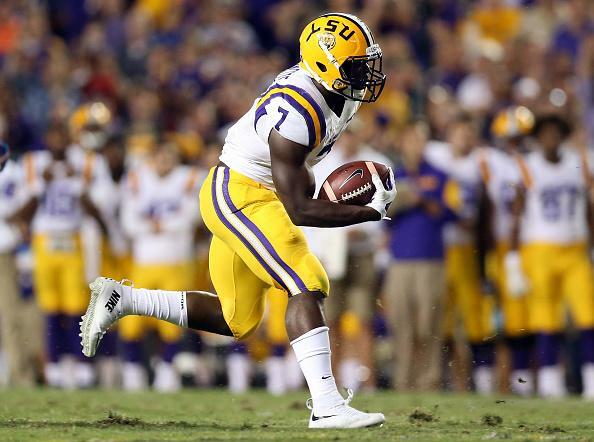 Meanwhile, the question for LSU is whether or not Leonard Fournette can get back to his early season form after a few lackluster, post-Alabama performances ended his Heisman hopes as his Tigers take on Texas Tech. I would imagine he should have a day when the Tigers take the field against the third worst rush defense in the country. Quarterback Patrick Mahomes is the real deal for Texas Tech and ranks third (tied with Baker Mayfield) in touchdowns responsible for. Unranked Wisconsin vs. #25 USC headlines and ends Wednesday’s games. Despite being unranked, the Badgers loses have all come against ranked teams, including #2 Alabama and #5 Iowa. Their last three games in California have all been Rose Bowl loses. 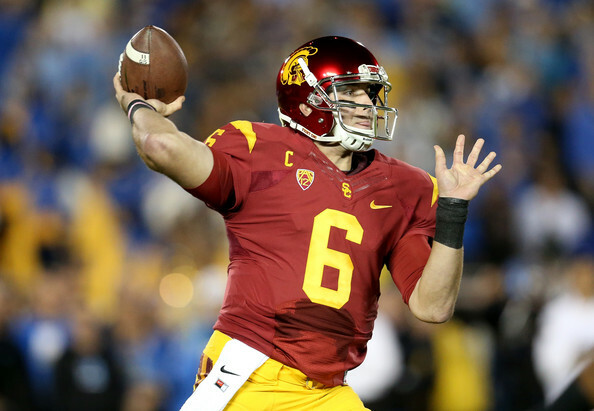 USC and senior QB Cody Kessler will have a tough night against a stout defense that gives up few yards, but Badgers QB Joel Stave may have a tougher challenge since he has one more interception than touchdowns this season. The coaching matchup is the thing to watch for in this game. Wisconsin coach Paul Chryst will be hoping to end his first season at the helm with a bowl win and a 10 win season, while recently hired USC coach Clay Helton wants to end the Trojan coaching drama once and for all with a solid showing and a repeat win in the Holiday Bowl. After the New Year’s Six all eyes will be on the return of Treyvone Boykin (Josh Doctson will miss the game due to his mid-November wrist injury) when Oregon and TCU face off in the Alamo Bowl. Boykin is an electrifying talent and Oregon’s defense is even worse than that of the middling Horned Frogs. But both teams boast fast and high scoring offenses (Oregon: 43.2 points per game, 548.2 yards per game; TCU: 41.7 ppg, 564.3 ypg) and their QB play helps drive them forward. Oregon won its last six games with the return of Vernon Adams from injury and he has been a true difference maker (21 TDs to 4 INTs in that span). Both teams are looking for a win after the 2015 season failed to live up to the high bar set in 2014. Penn State vs. Georgia is an opportunity for both teams to remind the football community that they are still relevant. The Nittany Lions (fresh off their recent hiring of Fordham Coach Joe Moorhead as Offensive Coordinator… Go Rams!) need to re-establish themselves in the Big 10 after losing their last three and getting blown out by the top three teams in the Big 10 East. Quarterback Christian Hackenberg must be eager to perform on a bigger stage and he has a chance to remove doubts of his talent before the offseason after an underwhelming 2015. Georgia isn’t allowing many yards (8th best in the Nation), but has beaten only two teams with a winning record (including FCS Southern University). Their most impressive win comes against Georgia Southern, who just had a bowl win of their own. These are games are often described as “meaningless” or “just for the sponsors,” but they can go a long way in shaping the future of the program. Recruitment, off-season mentality, and next season motivation are all on the line just as much as a bowl victory. Only 22 games remain. 22 chances for 42 teams to simultaneously end and begin their seasons on a high note. As if you needed another reason to watch.